The AP program began in the mid-1950s on the East Coast, and although it has become, according to former U.S. Education Secretary Richard Riley, “the gold standard,” Iowa’s participation has been historically low. Until recently, Iowa ranked among the lowest in the nation on AP exams per student population, in part because of the large rural demographic. The number of schools in Iowa offering AP opportunities and the number of Iowa students taking AP exams has increased substantially since 2001. Despite the increase in the number of exams, Iowa student performance remains high. In 2017, the percentage of Iowa exams with a score of 3 or higher was 62.5%, which compares favorably to the 2017 national average of 58%. *Based on College Board data, which includes accredited and non-accredited Iowa schools. The Belin-Blank Center is committed to delivering AP programs to Iowa’s students and support for professional development to teachers through multiple programs. The Belin-Blank Center, in partnership with the Iowa Department of Education, has made a concerted effort to bring AP opportunities to all schools in Iowa, but especially to rural schools, so that geography will not determine educational opportunity. The Iowa Online AP Academy (IOAPA), with funding from the State of Iowa, offers online AP courses, online AP Exam Review, AP Teacher Training, and I-Excel above-level testing for selected 5th graders. In 2008, the Iowa legislature passed the Senior Year Plus program (Iowa Code 261E) “to provide increased and more equal access to college credit and advancement placement courses” (Senior Year Plus: Guide for Educators and Educational Administrators, May 2016, from the Iowa Department of Education, p. 7). The Senior Year Plus statute (Iowa Code 261E.4) “compels all school districts to make AP courses available to students” (p. 19, Senior Year Plus: Guide for Educators and Educational Administrators). Parents and students should expect that school districts will comply with the state code that defines school district obligations for providing advanced coursework. The School District Obligations are detailed in Senior Year Plus: Guide for Educators and Educational Administrators on page 19. Schools that are “unable to offer AP® courses directly may expand opportunities to students through the Iowa Online AP® Academy (IOAPA)” (Senior Year Plus: Guide for Educators and Educational Administrators, May 2016, from the Iowa Department of Education, p. 19). The Belin-Blank Center hosts the Advanced Placement Teacher Training Institute (APTTI), a professional development opportunity, to prepare teachers to deliver AP courses successfully. The next APTTI will be June 26-29, 2018, at the University of Iowa, Iowa City, IA. The Senior Year Plus program includes a provision for teacher preparation for teaching AP courses: "A school district shall ensure that AP® course teachers are appropriately licensed by the Iowa Board of Educational Examiners in accordance with Iowa Code Chapter 272 and meet the minimum certification requirements of the national organization that administers the advanced placement program." (Senior Year Plus: Guide for Educators and Educational Administrators, May 2016, from the Iowa Department of Education, p. 19). 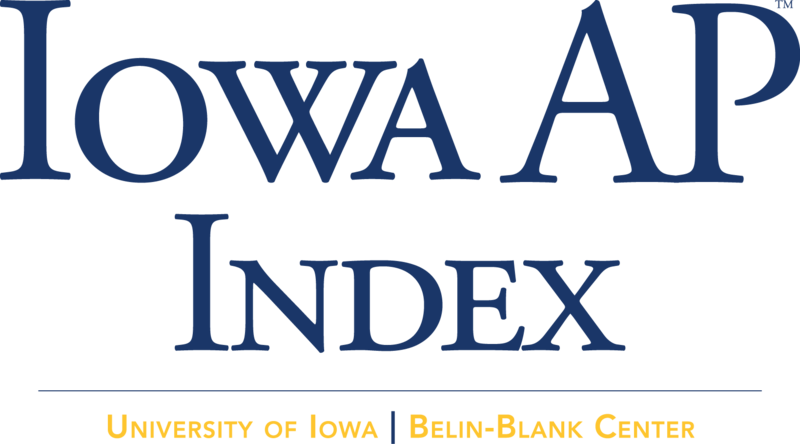 The Iowa AP Index is a project of the Belin-Blank Center. Advanced Placement, Advanced Placement Program, and AP are registered trademarks of the College Board.